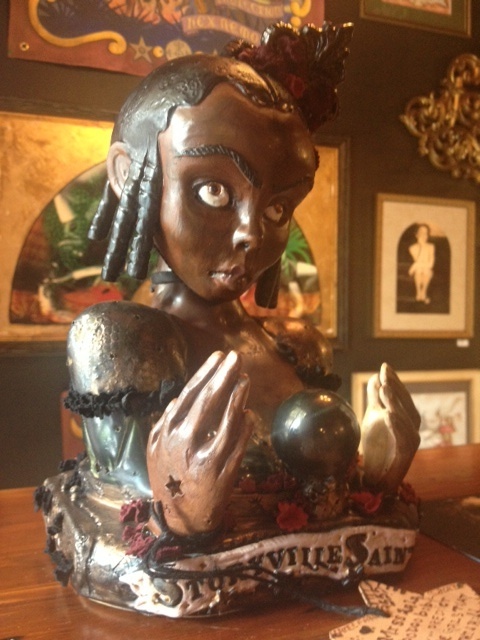 Kil Studios is owned and operated by Master Sculptor, Lateefah Wright, who dedicatedly sculpts original old-world style dolls, puppets, banks, reliquaries and tile, into historical harlots, harpies, hellians and heiresses. Her weapon of choice is fire…2200 degrees, and hotter, when permitted. A secret recipe, handcrafted -stoneware clay body is companion to her cumpulsive tendencies to throw on the potters wheel, slab, hand build, and even slip cast her one-of-a-kind bébes, and perverted puppets. As coveted as her clay are her glazes. All are handcrafted in the studio, from dry materials, oxides and carbonates to colour, glycerine to taste! Lateefah’s multi faceted process only begins in clay and fire. 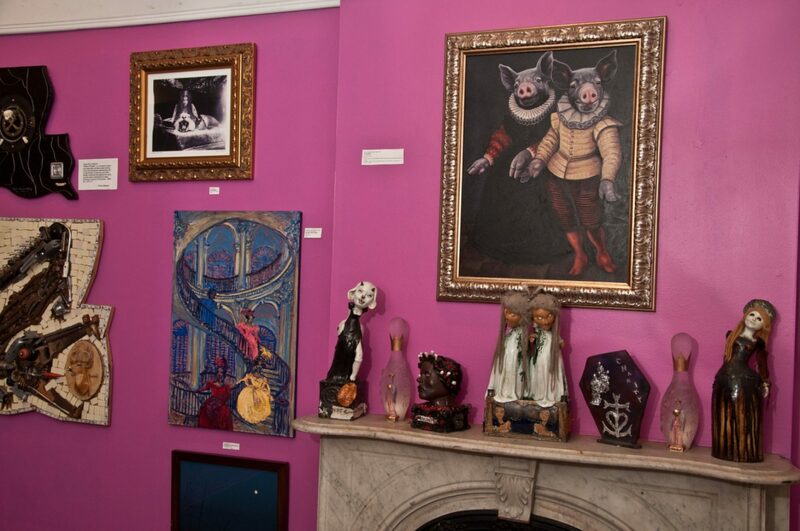 Handsewn leather bodies, crocheted angora wigs, and hand-stitched frocks all accompany each doll, and most sculptures have musical components or other interactive elements. “I am most driven by the compulsion to make ample use of time. Any piece of pottery, if broken, can tell its exact moment of completion by fire, much like the rings in a tree can tell its age. Every stitch is compulsively accounted for…sewing and crocheting being a most beautiful hour glass of one’s time spent.” Albeit, Lateefah received her BFA in Sculpture from University, she has been most masterfully educated in her beloved clay, by historical Van Briggle Art Pottery’s genius Production Manager, Dene E. Kiser, along with Master Potter, Greg Satre…and has yet to harness her love of fire and never ending curiosities towards melting points.